$1 billion. That’s how much Apple’s court win against Samsung is worth. And while Samsung is still appealing that decision and counter-suing Apple, all this attention on the legal battle seems to have some unexpected positive results for the South Korean electronics company, specifically on their flagship Android smartphone, the Galaxy S III. “The first spike in weekly growth coincides with the same week that a jury awardedApple $1 billion for Samsung infringing on Apple’s patents. 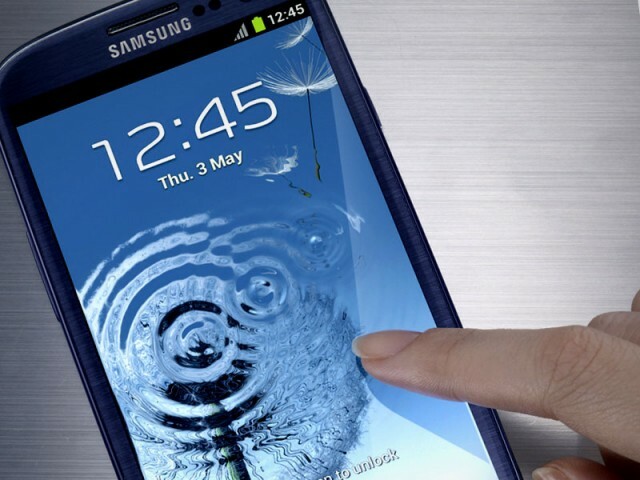 The deluge of post-litigation press coverage both drove general attention to Samsung and suggested that Samsung devices were similar enough to iPhones to be an option for many consumers. The study doesn’t provide any the actual number of units sold not does it go into the sales numbers of the iPhone 5 at this time. Still, it’s surprising to know that the Galaxy S III’s sales jumped up by 9 percent. People didn’t seem to care that Samsung was at the losing end of the lawsuit and their competitor was announcing the iPhone 5. 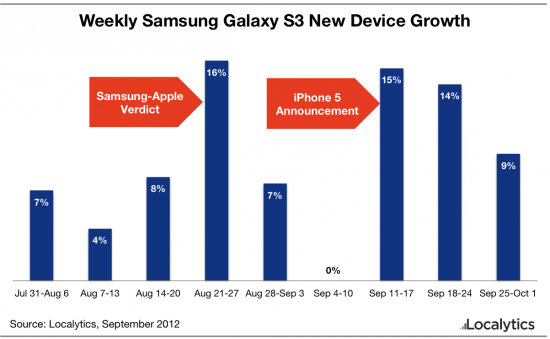 Did you buy a Galaxy S III after Apple won the court battle or when the iPhone 5 was announced? Do you think the Galaxy S III is better than the iPhone 5? Let us know in the comments below!